Gardening is a hobby that Christy and I really enjoy. It’s one of those activities that allow you to work out frustration, feel a connection to the Earth, get your hands dirty, and eat cheap, delicious food. 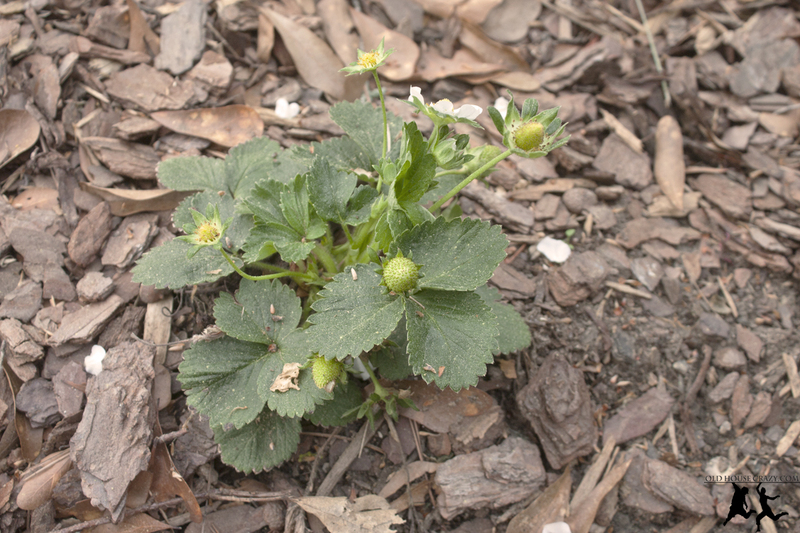 Last March, we decided that we wanted to put something interesting along our front walkway and strawberries were a perfect choice. 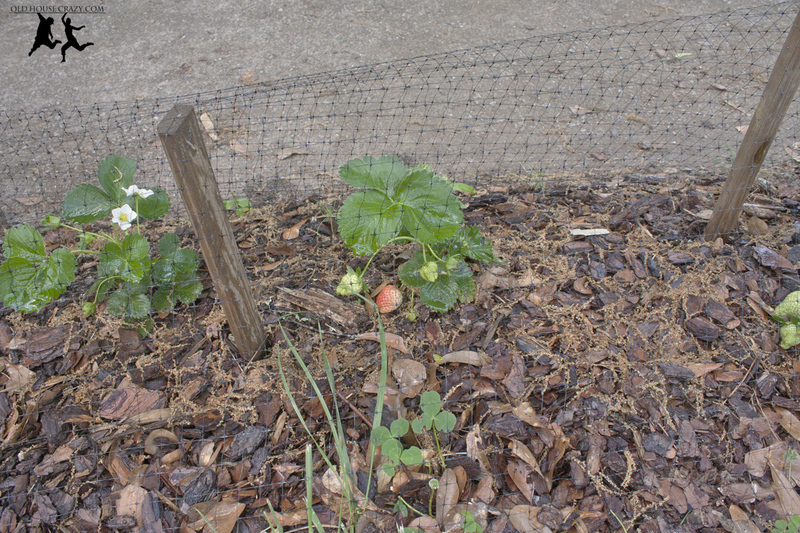 I mean, who has strawberries in their front yard? Old house crazies, that’s who. Christy ordered the strawberry plants online and they came as bare root plants. 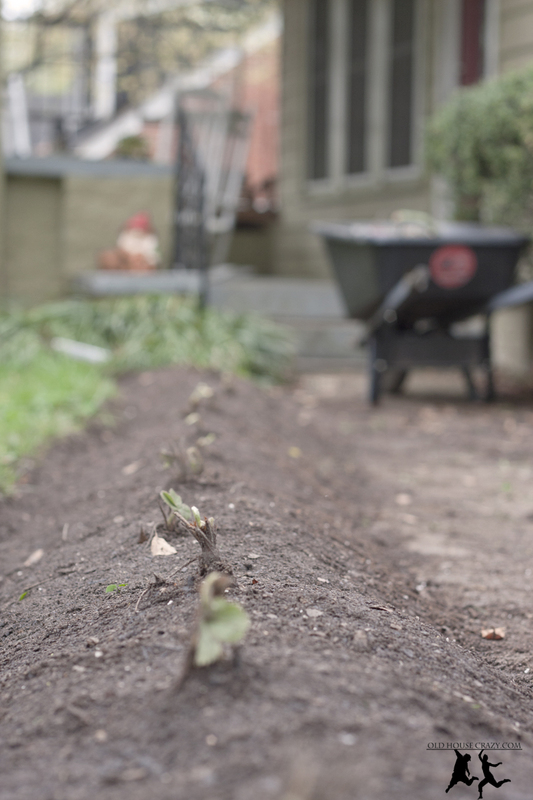 We mounded up the dirt along our walkway, mixed in some organic fertilizer, and planted the plants following the directions they came with. Then we watered. A lot. They grew well all last summer and sent off daughter plants late in the season. That’s one way they reproduce, by cloning. Very interesting Biology there. Notice the old porch paint colors from last year. 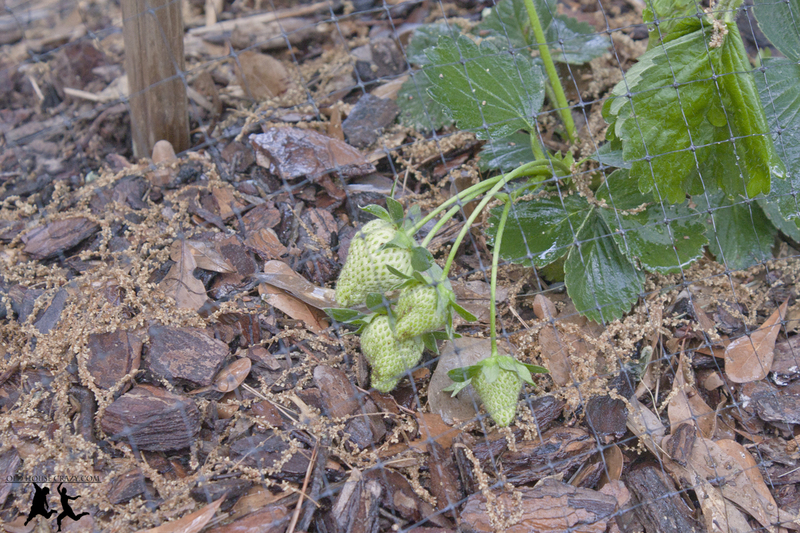 The hardest part of growing your own strawberries by far is plucking off the flowers during their first season. As with all of the berry plants, it takes a huge amount of energy for the plant to produce fruit. If you pluck off the flowers, the plants don’t waste energy reproducing and, instead, grow deep roots and establish themselves. 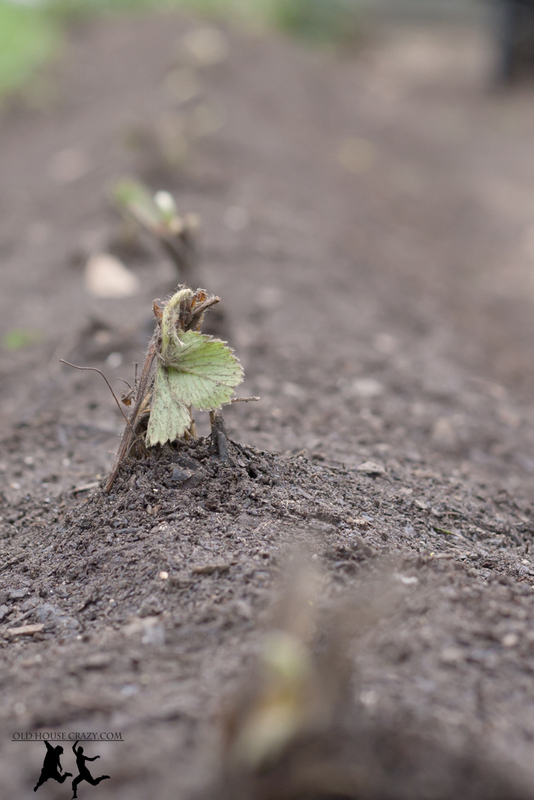 This spring, the plants started producing flowers in early march because of the incredibly warm weather we’ve been having. No complaints here. You can see the growth that has occured in one year. I love comparing photos from year to year and across the seasons as plants grow and develop. 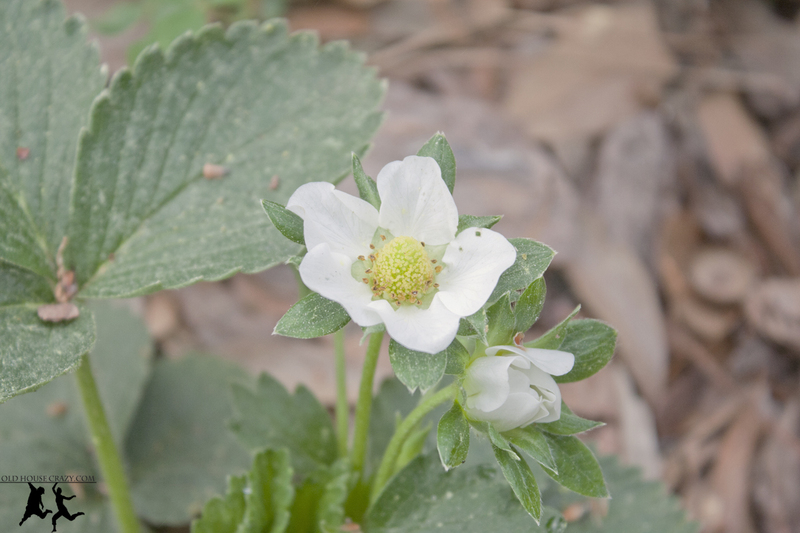 Strawberries produce really pretty, tiny, white flowers. You can see in the photo above that there are tons of little yellow flower parts within the center of the flower. Each of those stamen is connected to a single ovum and will produce a single seed. That mound in the center will become the red berry and all the little black spots on the berry are the tiny individual seeds. So when you eat a strawberry, you’re eating thousands of individual baby strawberry plant offspring. Biology for the win! 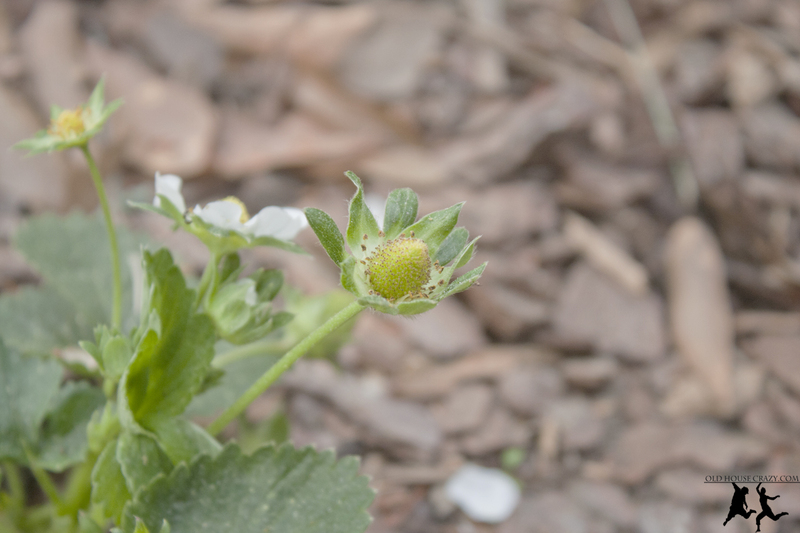 Our first fully developed berry of the year was eaten by some nasty jerk-faced bird or neighborhood cat. We were not pleased. I hate those guys. So up went the bird netting. 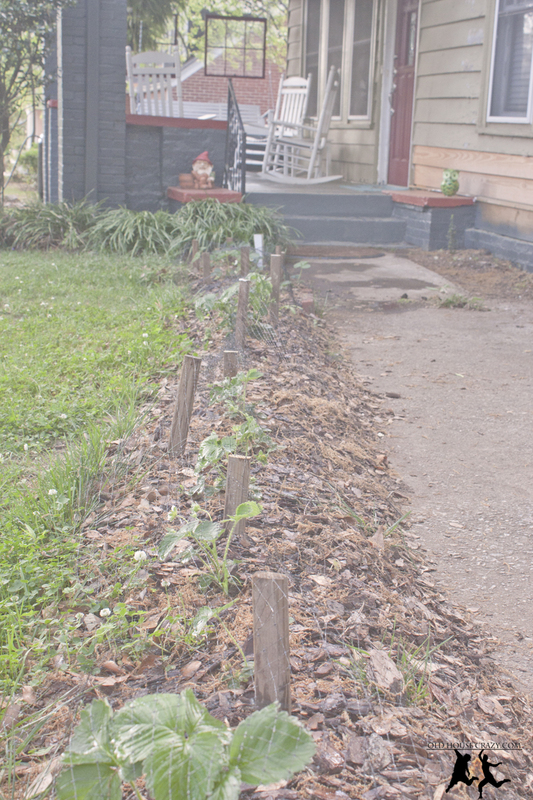 I bought a 14′ by 14′ square of net for a few dollars at the hardware store, drove a few DIY stakes into the ground, and stapled the netting in place with a staple gun. Take that jerk birds. I have thumbs! 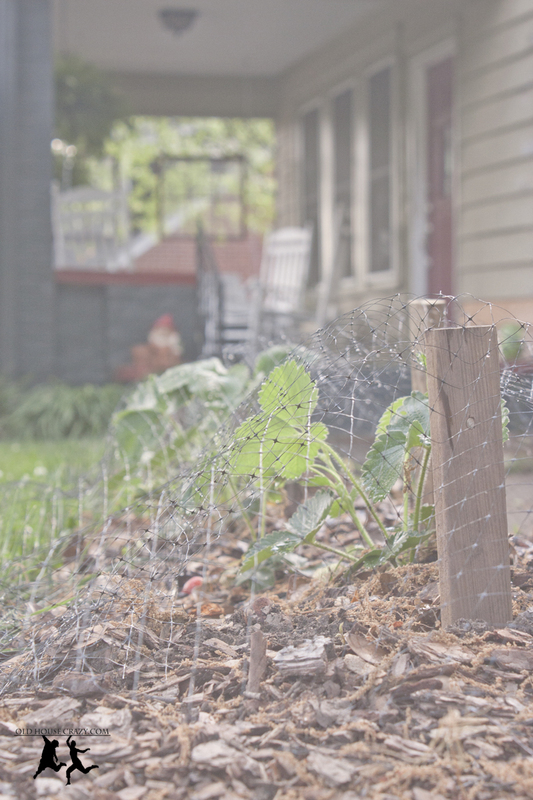 This entry was posted in DIY, Garden, Tools and Techniques and tagged Bird netting, DIY, food, Fresh Fruit, Gardening, Green Thumb, plants, Strawberries. Bookmark the permalink.